Stephen Horvath has over 28 years experience in the financial services industry. He earned his Bachelor of Arts degree in Business Administration with a concentration in Finance at Loyola Marymount University. 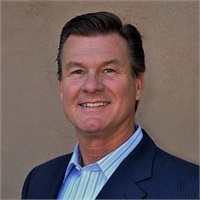 Stephen continues his study and has earned the following designations: Chartered Financial Consultant (ChFC®), Chartered Life Underwriter (CLU®), Certified Estate Planner (CEP®), and Accredited Investment Fiduciary (AIF®). He holds the FINRA series 7, 24, 63 and 65 registrations. He also holds life, health, disability and variable contracts licenses in multiple states, and is a member of the Financial Planning Association. Stephen's holistic approach to personal financial planning is unique. He enjoys analyzing and understanding the big picture to be sure that all aspects of a client's financial life are coordinated effectively - retirement planning, tax planning, estate planning, investment planning and risk management. He specializes in designing prudent strategies to help reduce clients' income tax liability, increase their retirement income, grow and protect their assets, and provide for an orderly distribution of their hard earned assets to the next generation and possible charitable interest. Stephen is married to his supportive wife, Stacey, for over 20 years and has two wonderful children. His son, Dallas, is a college student studying business and enjoys football and cars. His daughter, Alexandra, is in high school and likes playing soccer, basketball and going to Starbucks with her friends. Stephen enjoys sharing time with the family, going to sporting events, the theater, biking and traveling.